Well, what a revelation! 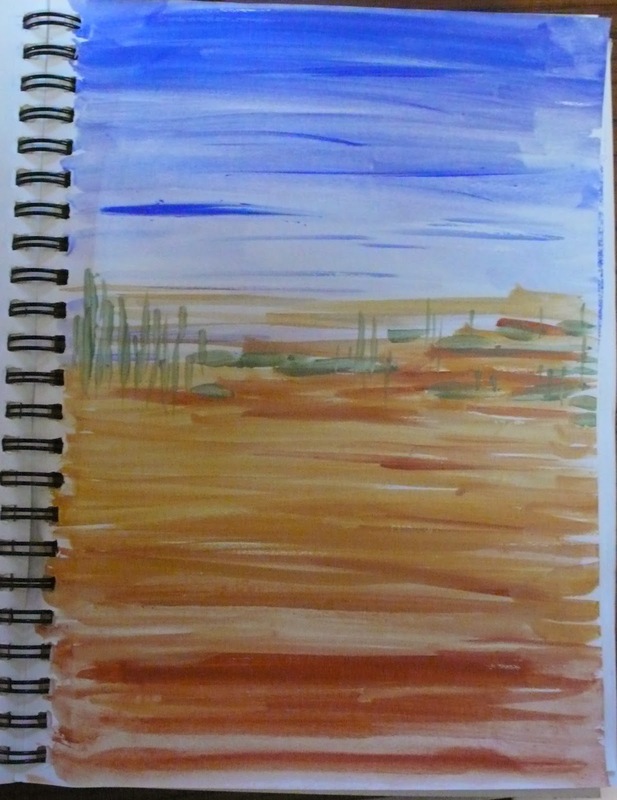 Not being good at drawing is no hindrance to keeping an inspiring and artistic sketchbook! 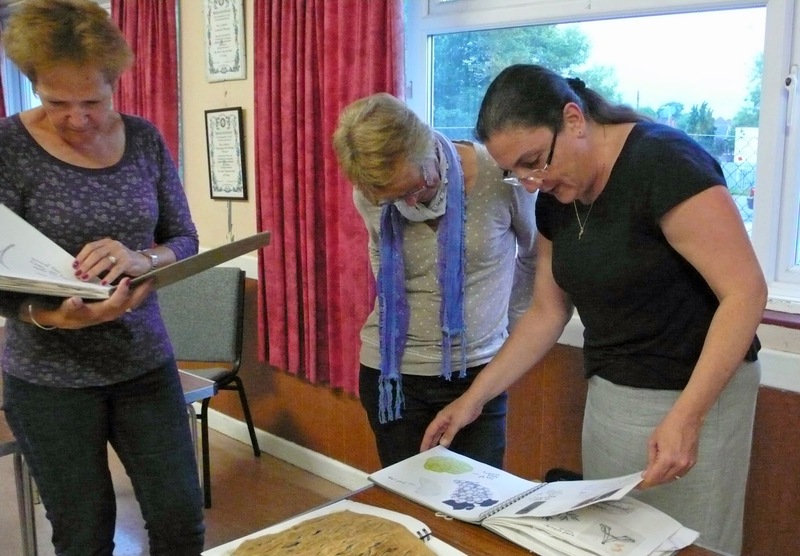 Deborah Harwood spoke to us on 16 June about taking the fear out of sketchbooks. Deborah (on the right) started stitching 13 years ago and now runs The Textile Space, where students can go to learn dressmaking, embroidery and much more! She said that keeping a sketchbook was like having a visual diary and was an excellent way to collect ideas; a place for imagination, experimentation and for mistakes! Making marks was a good way to develop ideas in order to transfer them into stitch. Deborah showed us the sketchbook she created at university when she was researching her Russian family history, going back 7 generations. 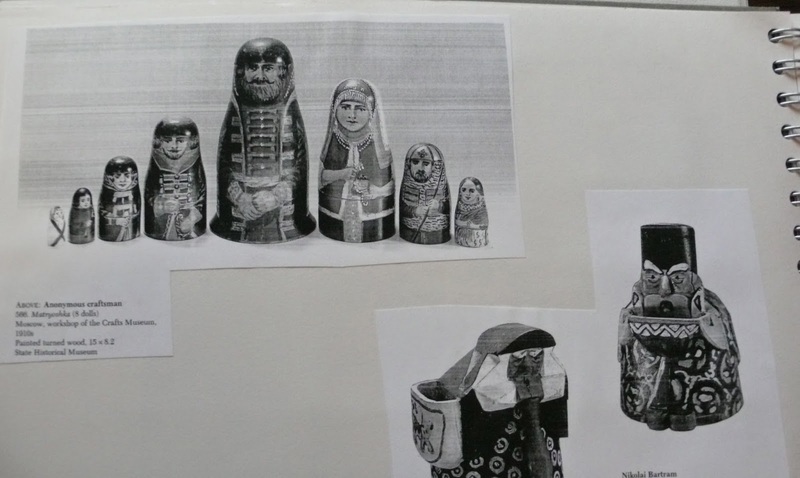 Her final piece consisted of 7 Russian dolls, depicting fabric inspired from the year of birth of each ancestor. Deborah prefers to work in black and white but stressed the importance of playing with fabric and colour. 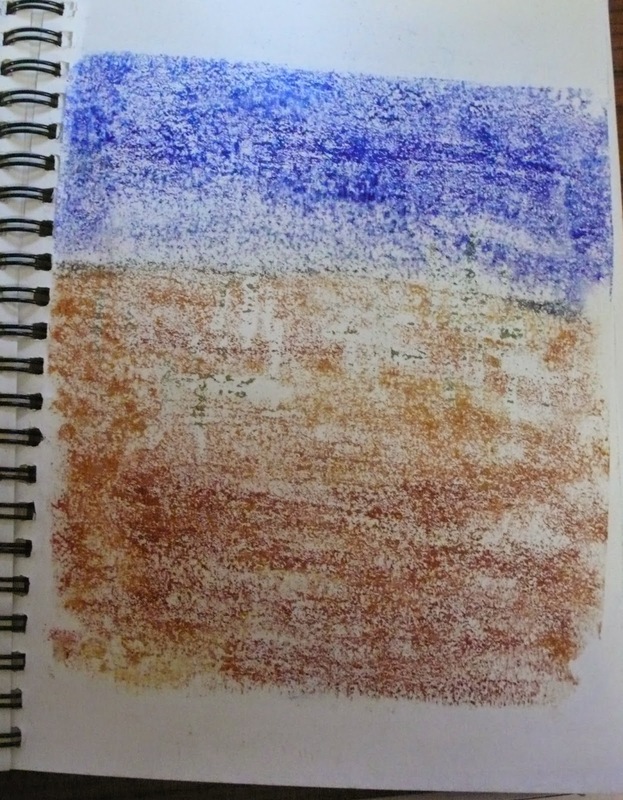 As an example she prepared a few pages in her diary for us, using colours inspired by the landscape of Provence, France. On the left is her first painting, which she repeated on bondaweb, (right) before developing the idea with fabric (below). For some years Deborah has been working on a project inspired by the gates to the Sculpture Park at Goodwood. Although the project is not yet complete, she showed us her work to date and how she plans to develop it, with each section of the design being standalone and made in a different material. 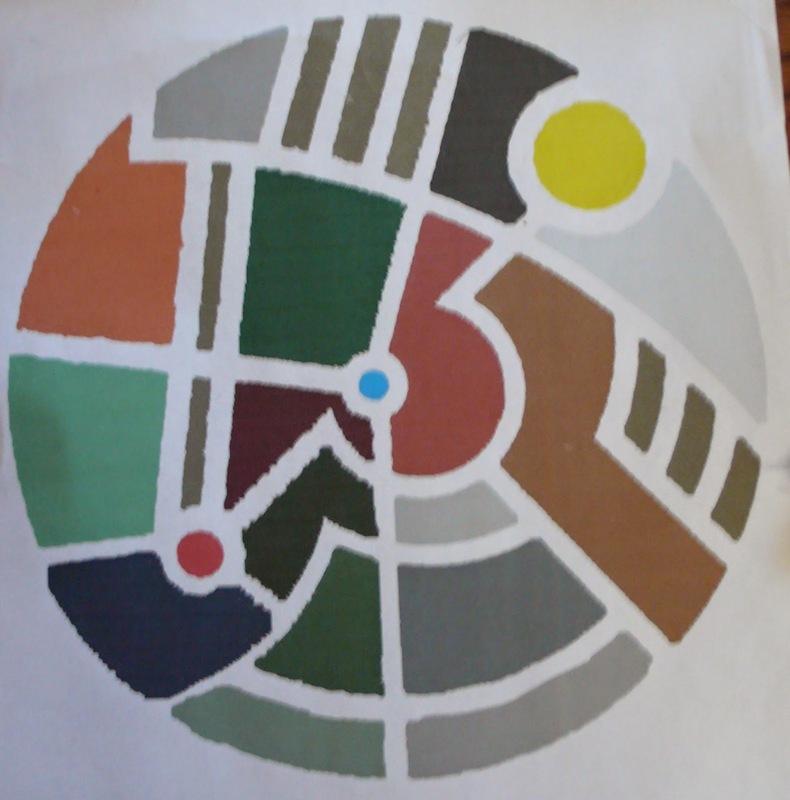 Deborah's main message to us is not to be afraid of the white page, to be creative using a variety of materials such as chalks, collage, photos, paint and dyes. As there is no right or wrong in art, we should let our imagination lead us on our journey. 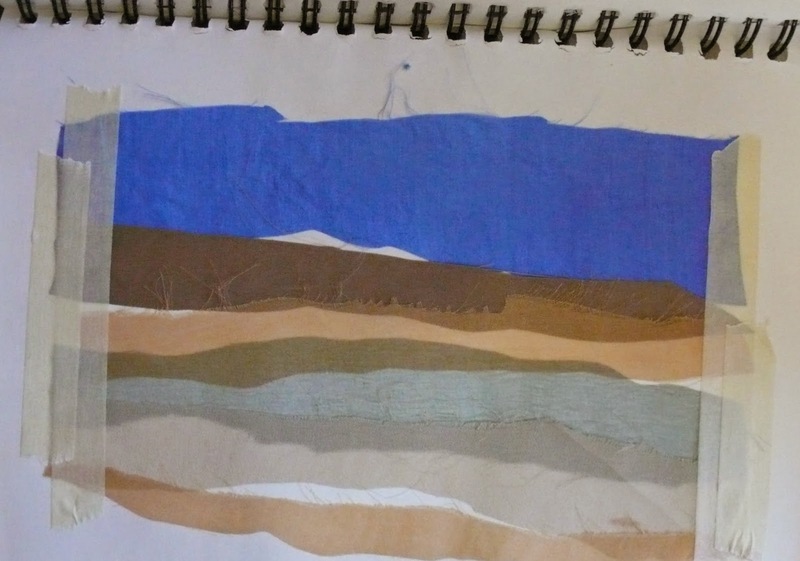 She encouraged us to work in our sketchbooks everyday and for it to become an enjoyable habit. Thank you Deborah for an inspiring talk and for giving us the confidence to get our ideas onto paper without feeling overwhelmed. It was a pleasure listening to your infectious enthusiasm.